The Court of Appeal (CA) has granted an interim injunction preventing the publication of details about multiple cases of alleged sexual harassment and racial abuse by a senior executive against five employees on the basis of potential breaches of non disclosure provisions contained in settlement agreements (NDAs). In all five cases the complaints were compromised by settlement agreements under which substantial payments were made to the employees. On 16th July 2018 a Daily Telegraph journalists contacted the employer with a view to obtaining comments in relation to the former employees’ allegations. It seemed to the employer that the information had been disclosed to the newspaper in breach of the NDAs. Therefore, they sought an interim injunction in the High Court. This was rejected on the basis that they were unable to demonstrate that the NDAs had been breached. It was also said that the information carried no “reasonable expectation of privacy or confidentiality” and the publication would be in the public interest. At an early stage in the proceedings attempts were made to ascertain the attitudes of the employees. One was happy for details of their complaint and the settlement to be disclosed provided they were not named, one did not support the application for the injunction and two actually supported it. On 23 October 2018 the CA overturned the High Court ruling and granted the injunction preserving the confidentiality of the information pending a full trial (which it was directed should be expedited). It was said that the High Court had neglected to consider “the important and legitimate role” played by NDAs. It was said that there was no evidence that any of the NDAs were procured by bullying, harassment or undue influence and that the employees has the benefit of independent legal advice. Indeed, it was emphasised that two of the employees had expressed their wish that the injunction be maintained. It is important to note that the employees would have had difficulty in rebutting any of the Telegraph’s allegations if they wished to given that (like the employer) they were still bound by the NDAs. The CA considered the balance which must be struck between freedom of expression, which is enshrined in Article 10 of the European Convention on Human Rights, with the fact that the information was obtained in breach of confidence. The CA found that NDAs have a valid function of avoiding the need for litigation, enabling the employees to receive substantial payments and as long as these are freely entered into with the right (where appropriate) of independent legal advice and with due allowance for disclosure of any wrongdoing to the police or appropriate regulatory body “the public policy reasons in favour of upholding the obligation are likely to tell with particular force, and may well outweigh the article 10 rights of the party who wishes to publish the confidential information”. This is a topical issue as shown by the Harvey Weinstein/Donald Trump sagas. The most notorious of the NDAs used by Harvey Weinstein in the UK is the Zelda Perkins settlement agreement. Recently it has transpired that this NDA contained extensive restrictions on disclosure. For example she was unable to tell her doctor what had happened or even to retain a copy of the agreement. The fear is that NDAs might be used by rich and powerful men to gag victims and leave serial harassers free to strike again as well as contributing to low reporting of sexual offences. This issue has been examined by Parliament through the Women and Equalities Select Committee (WESC) which acknowledged that in certain circumstances settlement agreements can genuinely be in the best interests of all parties and that they have a valid role but that there were concerns over unethical use of them. However, the issue is wider than just settlement agreements. Often employment contracts will have confidentiality provisions and, unlike with settlement agreements, the employee will be unlikely to have taken legal advice before signing the contract. Therefore, these clauses should be carefully, clearly and ethically drafted to avoid being considered unenforceable. This issue will likely attract further judicial and parliamentary comment in the near future. Employees and their legal advisors should carefully consider the use of such clauses. If they are to be used it is important that they are clear and limited with an explanation that disclosures that are protected under whistleblowing laws cannot be prohibited or restricted. This article has been produced for general information purposes and further advice should be sought from a professional advisor. Please contact our Employment Law Team at Cleaver Fulton Rankin for further advice or information. 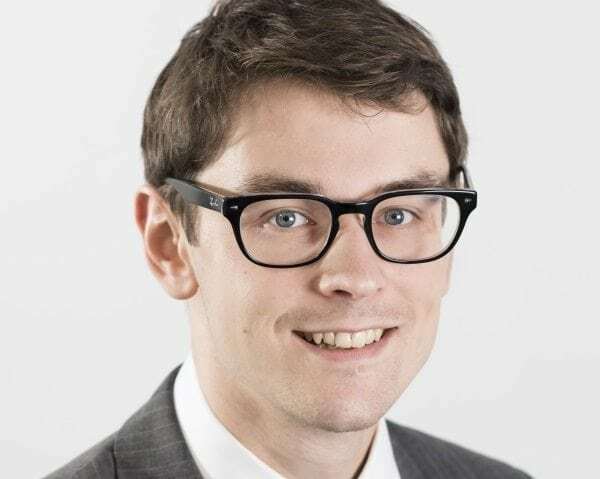 Nathan Campbell, Senior Solicitor, Employment Law Team, Cleaver Fulton Rankin, Solicitors.